Ultra bright and durable /SMD bulbs. 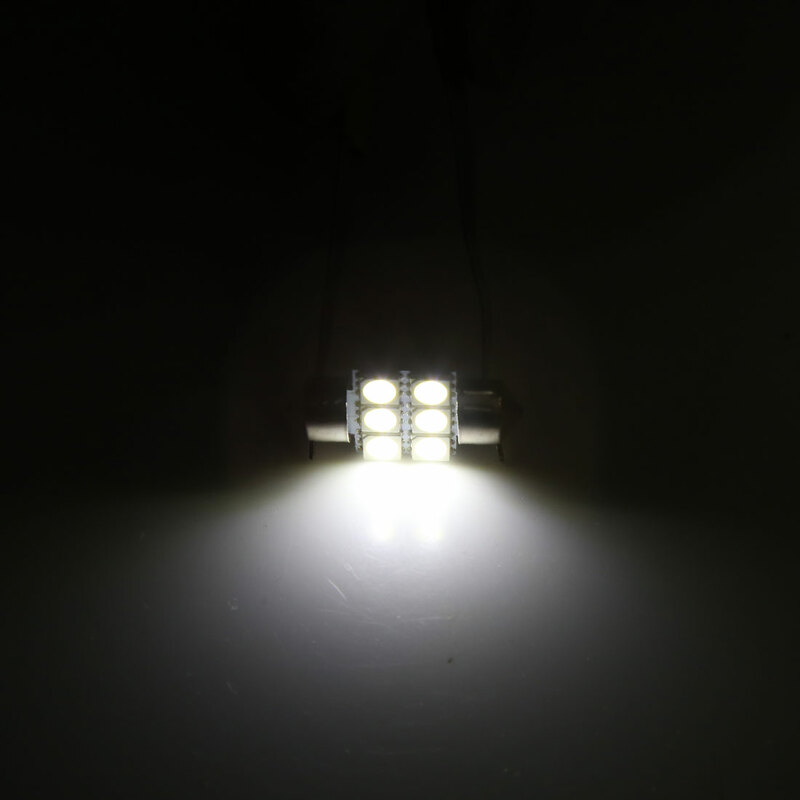 At night,it is easy to attract more attention and make the drive safer Bright white SMD bulbs. It is always a great investment to have a power-saving light bulb for your car. This energy-saving light bulb features high brightness, low power consumption, long service life, anti-dust and anti-collision. If the does not light up, simply flip it 180 degrees (reverse the polarity). Note:Please flip the bulb horizontally if it does not light up to match the + and - polarity. Please note: These light bulbs are slightly wider than original stock bulbs, please make sure your car housing having enough room to fit them in. Please refer to Product Features for size reference.